Saving money is an essential business survival necessity in harsh economic times. It is also a growth strategy for a fledgling business that can mean the difference between success and failure. One attribute of businesses that affects the bottom line and is therefore critical to success is the expenditure on consumables. Even in an era of electronic communication and automatic manufacturing processes or self-care solutions for customers, many businesses still find themselves stuck with the nightmare of never ending increases in their list of consumables. The following steps could help businesses of all sizes learn to be cost savvy, therefore improving their bottom line. Take a look and see what processes you could implement to deal with the problem of spiraling consumable costs. A popular Australian business adage says that cheap is expensive and many Australians realise that trying to save a few dollars in the short term can be a major source of long term problems. For example, many businesses, from small startups to large multinationals have used poor quality printer cartridges because they were cheap. Cheaping out is one of the reasons printers have a reputation for causing some of the biggest headaches in the office, but that doesn’t have to be the case. This has resulted in some businesses suffering problems such as jammed printers, poor quality reports and messy workstations, not forgetting the lost time use to make repairs. 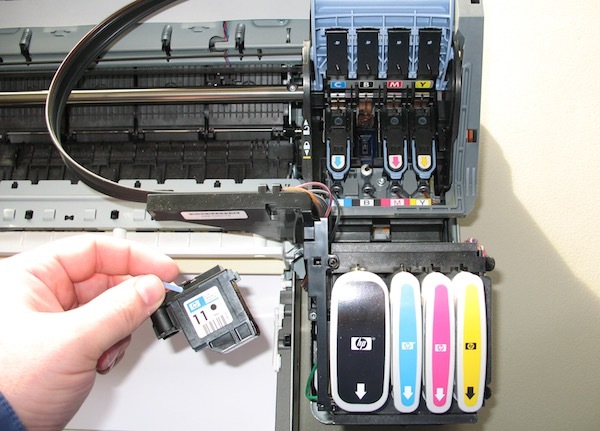 Meanwhile, those that take their time make enquiries and obtain their printer ink or printer cartridges from trusted distributors like Printzone.com.au get sustained operations and overall lower printing costs per successive usage. Be smart and go for high quality at the most reasonable price as a way to reduce frequent replacements of your consumables. A surprising thing is about cloud computing is that so many business owners have heard about it but many of them are still relying on traditional computing methods such as expensive IT overheads. This is the second decade of the 21st century. Businesses need to pool resources and gain from the available economies of scale. Cloud computing is a solution to almost any business that allows a company to save on individual computing costs and still be able to access power and space according to their needs. Besides these benefits, the cloud is often more secure against risk of data loss due to natural disasters as this article on cloud computing and natural disasters explains. While it is good to reduce consumables ones in a while, a plan makes the process formal and part of the overall business strategy. It can be executed at different levels of the organisation and in addition to this, there will be reduced need for the business owner or supervisor to keep repeating the urgency of reducing consumables. A plan allows all staff the responsibility of identifying areas that they can cut demand for consumables. Making employees aware of the strategy means that from the ground level up, the business cuts its costs. A number of Australian businesses are already enjoying the use of these cost reduction plans. Despite the volatility of their markets, they are able to survive because of constant cost reduction. A good example is Teck, which has relied on a plan to reduce costs by $150 million and ended up surpassing the goal by progressively cutting down on consumables. To sum up, saving on consumables will also depend on your type of business and what type of consumables you use. However, the three steps highlighted in this guide work universally and they have been instrumental in helping many businesses deal with uncertainty in business incomes.